Dogs are animals that require a lot of attention. 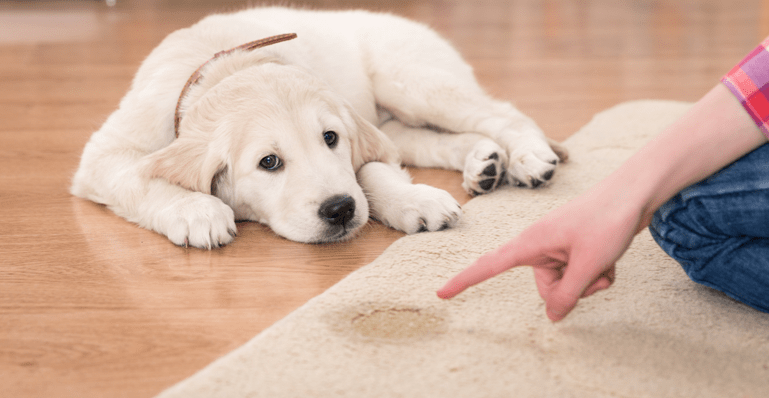 Simply leaving your home, not thinking about what your pup might be up to when you’re gone, might end up in the “worst case scenario.” If you’re out of the house, and your dog has free run of the home, you may come back to find ripped up paper, half-eaten shoes or even torn pillows. This is because dogs require a lot of attention. Unlike cats, who can sit for hours at a time, dogs have the constant need to play. They need excitement on a daily basis to remain in good health. Having toys to keep your dog occupied while you’re gone could save you time & trouble in the future. But many dogs have different personalities. Finding the type of dog toy or time-consumer is key. 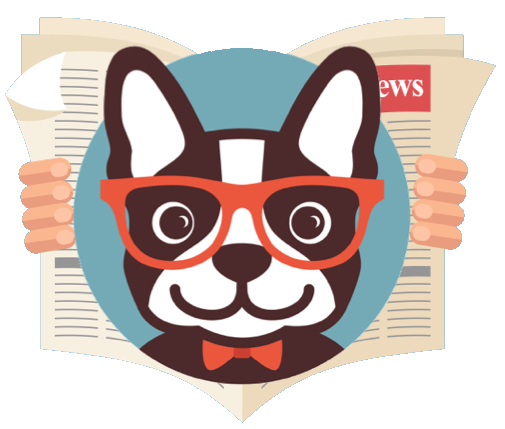 In this article, we highlight some of the top dog toys to keep your dog busy, while you’re away from the house, or if you just need some time to yourself for work/relaxation. Seek-A-Treat is a fantastic puzzle game that keeps your dog thinking in the most entertaining way. This puzzle game requires your dog to navigate through various sliders to find a treat, hidden below. Each time you let your dog play with this toy, you can make the pattern completely different. With holes in the sliders, your dog will smell the treat, enticing them to find a way through. Seek-A-Treat works right out of the box and all you need are small treats that could fit within a 1/2 inch space. The KONG is probably one of the most notable dog toys in that it could take over an hour for your dog to reach the goal. 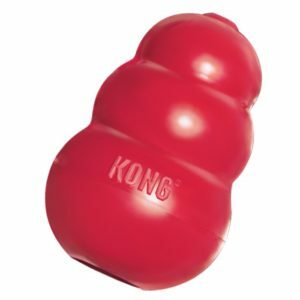 The KONG is a rubber dog piece that allows you to fill the inside with any treat of your choice. KONG has specially designed treats that fit in perfectly, so the treat doesn’t fall out. KONG also has a paste (liver or peanut butter) that you can pour inside. Before you know it, you will find your pup throwing the KONG halfways across the room, trying to get the treat out. Constant licking of the treat to moisten it up is the primary method of getting the treat out. This dog toy is unlike any other. When the ball is moved, you begin to hear various sounds come out of the ball. Some of these sounds include barks, funny noises, alarms and voices saying, “Hey, how are you?” & “good doggie”. This ball is fun for all dogs, especially the ones that enjoy throwing the ball around. The sounds will help your dog remember that no one is home, while also having a good friendly fight with the voice on the other end. The Bob-A-Lot is one of the most fun food dispensing dog toys. 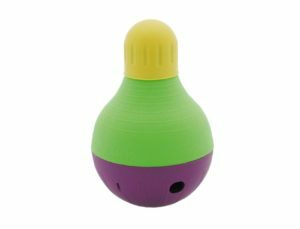 This device always stays upright, as your dog attempts to shake it and move it around to dispense the treat. 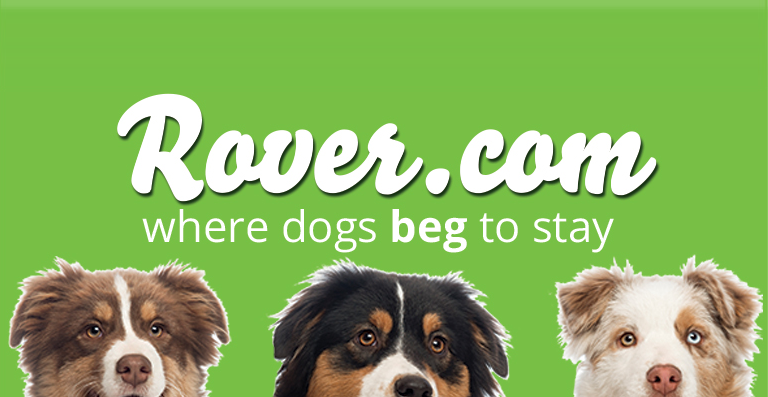 By controlling the difficulty level, you can determine how easy it will be for your pup to receive their reward. The more the bob, the better the chances are for receiving the treat. Bob-A-Lot comes in a small & large version, depending on the size of the dog. Your dog will remain entertained both physically & mentally while attempting to dispense the treats out of this toy. “Give your dog a bone” is the age old’ saying for a reason. Dogs love bones as it tastes delicious and helps keep their teeth sharp & clean. Finding a bone that your dog loves can keep him occupied for many hours at a time. The size of the bone you give him depends on the size of the dog. A super large bone given to a tiny Maltese might overwhelm them, and the dog won’t even touch it. Some of the best bones for these cases are Rawhides & Deer Antler. These are hard to chew and will take your dog hours if not days to finish a single bone. 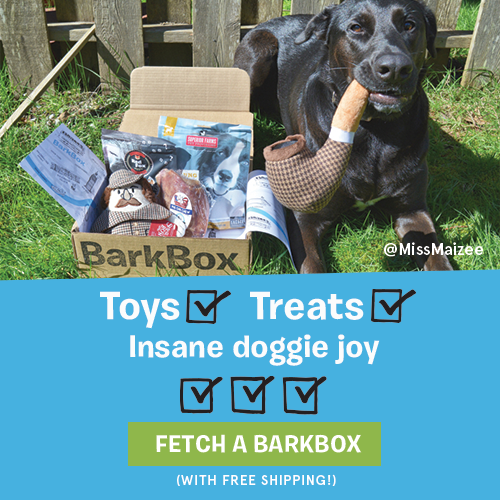 This is our list of the top 5 toys to keep your dog busy. Did we miss one? Comment below and let us know what your favorite dog toy is.